Online purchasing of products is possible on the territory of the Republic of Croatia and worldwide. When using the www.aromatica.hr web site, Users are required to provide accurate, valid and complete personal information, especially when completing the registration form. Otherwise, the Seller is authorized to deny the user access to or service delivery. Orders and deliveries can be paid according to the model you choose when ordering. Payment of the product is possible: credit card payment through PayWay (for international buyers and buyers of the Croatia) and cash payment (only for customers in the Croatia). The invoice will be delivered in the package (or one of the packages if the ordered item is delivered in multiple packages). The delivery of ordered products is done through the delivery service. If the ordered product is not on stock, Bioaromatica d.o.o. will notify the Buyer that the product is currently unavailable and will notify you of the deadline for the product to be delivered. Ordered product, depending on whether it is on stock, Bioaromatica d.o.o. delivers as soon as possible. The products will be packed that they can not be damaged during the transportation. The buyer is obliged to check for damage and to report damage to the deliverer who delivered the goods. Buyer can request the damage record paper if the consignment is taken over at the delivery office and he can refuse to take over the package. In that case the package will be returned to the seller. The time of delivery of the package will be transferred to the next working day in case of holidays and public holidays. Delivery time is informative and they are subject to change. Shipping is calculated at the end of the order process. The user is responsible for the shipping up to the value of the purchase of 400,00 kuna. For purchase over 401.00 kuna shipping is free. This is valid only for domestic purchase and shipping (on the territory of Croatia). This price list is informative and variable. Valid delivery prices are visible at the time of order. The delivery price will be shown to the Buyer after completing the order and selecting the delivery address. The seller is not responsible for any delays in delivery and damages and other obligations that are in the domain of the delivery service, but will, in agreement with them, provide a top service to each customer. This price list is informative and variable. Valid delivery prices are visible at the time of order. The delivery price will be shown to the Buyer after completing the order and selecting the delivery address. The seller is not responsible for any delays in delivery and damages and other obligations that are in the domain of the delivery service, but will, in agreement with them, provide a top service to each customer. The Customer may send all complaints, in accordance with article 10 of the Consumer Protection Act (Official Gazette 41/2014), by mail (to the address Bioaromatica d.o.o. Samoborska cesta 145, Zagreb) or by e-mail (aromatica@aromatica.hr). If the complaint is submitted at the business premises, at the address Bioaromatica d.o.o., Samoborska cesta 145, Zagreb, the Seller is obligated to immediately certify its receipt in writing. – by mail – sent to the address: Bioaromatica d.o.o. In order for the Seller to acknowledge the receipt of the written complaint, and respond to it, in accordance with article 10 paragraph 5 of the Consumer Protection Act, the Customer has to provide accurate information in order to receive the response. In accordance with the Consumer Protection Act, the Seller will provide a written response to the Customer’s complaint no later than 15 days from the day the complaint was received. Otherwise, the Customer may contact the State Inspectorate or the Consumer Protection Association. We inform you that any dispute is solved peacefully through agreement as well as your right to use the mechanisms of out of court settlement of consumer disputes by initiating the procedure of out-of-court settlement of the dispute by submitting the application to the Court of Honor of the Croatian Chamber of Commerce and / or submitting a proposal for conciliation to the Croatian Chamber of Commerce. The Contract can be unilaterally terminated within 14 days, without stating a reason. In order for the Customer to achieve the right to a unilateral termination of this Contract, he has to notify the Seller of his decision to unilaterally terminate the Contract, before it has expired, by sending an unambiguous statement via mail, telefax or e-mail, in which a name and surname, address, telephone or telefax number, or e-mail address has to be provided, the Customer can also use the attached unilateral contract termination form. The deadline for the unilateral termination is 14 days from the day the goods, which are the subject matter of the contract, were given into the Customer’s possession or to a third party, which the Customer chose, but it cannot be the carrier. If this Contract is unilaterally terminated, the Seller will carry out a reimbursement of the funds which he received from the Customer, which also includes shipping costs, without delay, no later than 14 days from the day the Seller received the decision on the unilateral contract termination, unless the Customer chose a different type of delivery, which is not the least expensive standard delivery which the Customer offered. The reimbursement will be carried out in the same manner in which the Customer made the payment. In the event that the Customer agrees to a different manner of reimbursement of the paid amount, the Customer doesn’t bear any costs in connection with the reimbursement. We can carry out the reimbursement only after the goods are returned to the Seller, or after proof is delivered that the goods have been sent back. The goods are returned or handed over to the Seller without any unnecessary delay, and in any event, no later than 14 days from the day the decision on the unilateral contract termination was sent. It is deemed that the Customer has executed his obligation on time if he sends or delivers the goods to the Seller, or to the person responsible for the receipt of goods, before the expiry of the above-mentioned deadline. The Customer bears the direct costs of returning the goods. The Customer is responsible for the decrease of the value of the goods which resulted from the handling of goods, except for handling which was required in order to ascertain the nature, features and functionality of goods. 3. I ________________ hereby state that I am unilaterally terminating the Contract for the Sale of the following goods ___________________________________________, ordered/received on the ________________. You can electronically fill out and send a copy of the Form for the unilateral contract termination, which can be found on our website. We will deliver without delay, by email, to the Customer the confirmation of the receipt of the notice on unilateral contract termination. In accordance with the Civil Obligations Act (articles 400 – 422), we are responsible for material defects of goods which were present at the moment they were delivered to the Customer, as well as for material defects which occur after the risk has passed to the Customer if they are the result of a preexisting cause. You are obligated to inform us immediately, but no later than 2 months, on the existence of a material defect of a purchased product. We are not responsible for product defects which appear on the product after two years have passed from the day the product was purchased. The user data confidentiality describes how Bioaromatica d.o.o. treats with your personal information received during the use of the aromatica.hr internet store. Your personal identification data is considered to be your personal identification information: your name, last name, e-mail address and phone number, or any other information will not bw available to the public, when using aromatica.hr web shop. Bioaromatica d.o.o. will keep your personal information secret and will not distribute, post, grant to third person any infromation without your prior consent. Any information we collect about our users will be used for the purpose for which it was intended. All collected personal information (first and last name, email address, delivery address, contact details) are completely safe. All collected data are used sfor the purpose of business relationship between Bioaromatica d.o.o. and Buyer as a user of our services. The collected data is used for the purpose of realizing a business relationship, better understanding of the needs of the user, with the aim of informing the user about all benefits, actions, other marketing purposes and for information purposes. Bioaromatica d.o.o. doesn’t capture your credit card number or store transaction data. Credit cards are used by an authorized bank, which encrypts your data. 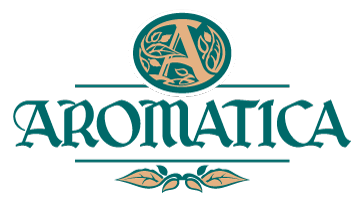 All products that are sold on www.aromatica.hr are considered as original products and they are the vendor and owner of this website. Aromatica d.o.o. can not be held liable for any injury or iresulting from the use of products purchased through this website. All content on this website is of informative or educational character. Consult your doctor / physician regarding the applicability of any opinions or recommendations regarding your symptoms or illness. Bioaromatica d.o.o. keeps feedback on the products we will gladly publish on our website with the right to read and publish it in other marketing materials.